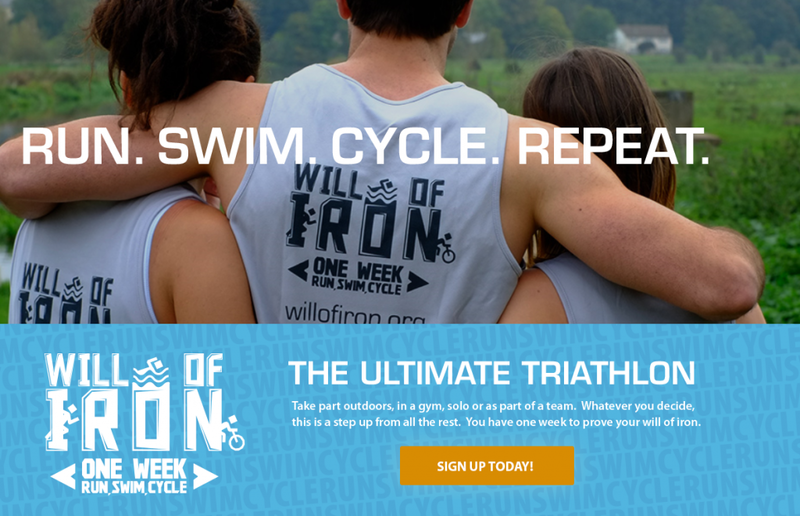 The Will of Iron Triathlon - Are you ready to take on the challenge?! A couple of week's ago, I came across a tweet from Beth over at Beauty in Beta asking for help to promote a charity event. As a blogger, I think it's really great where possible to use our little portions of the internet to publicise what is important, and so I contacted her to find out a bit more info. Beth recently started volunteering with the Willow Foundation. They are the only charity within the UK who provide unforgettable Special Days for young adults between the age of 16 and 40, who are seriously ill. Willow was established in 1999 and in the 16 years since, they have fulfilled more than 11,000 Special Days - which is a truly incredible feat! Special Days are centred around an activity of the young adult's choosing, and primarily, are an opportunity for them to regain some normality while spending quality time creating new memories with their families. The triathlon involves completing three different activities; a 26.2 mile run, 112 mile cycle and a 2.4 mile swim. Are you out of breath just reading that? The good news is that you can take part as an individual or as part of team. Your team can be from 2 to 200 people - so rounding up more people can take the pressure off that bit more too. You have a whole week to complete it, either in the gym or the great outdoors, and until May to train. The official Will of Iron week is 2nd to 8th May. The event is £25 to enter, and the money raised will go towards organising Special Days for around 100,00 people in the UK. If you think you'd like to get involved, you can find more information on the Will of Iron website here. Brightening up with a Barry M mani! Current Favourite - My 'Go To' Lip Combo! The Couch to 5k - Week 4! The Couch to 5k - Week 3!